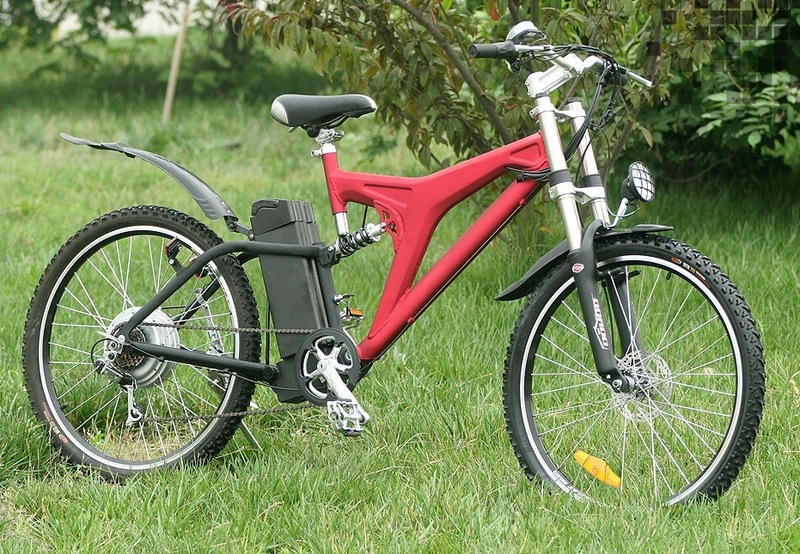 "Powerful, Stylish Electric Mountain Bike"
Normal Load: 225 lbs./max. 275 lbs. Weight of Bicycle Including Batteries: 68 lbs. When you look at features, there are a variety of things to consider. One of the first features will be safety. This is where our 443 mountain bike shines. You love that your electric motor will power you up the hill, but what about safety when you are hurling down that mountain? When you are going down that steep slope, you want to have full control of your bike, and no regular bike brakes like on cheaper models will work for you. We know this! This is why our 443 mountain bike comes with our front and rear disk brake systems. These give you optimum braking ability for those steep hills. You know that one of the hardest workouts in mountain biking is not just your legs, but your seat! This is why we have the built-in shock absorber that takes the pounding, so your blessed seat does not have to. We know that this is one feature you will be thanking us for! This bike not only has a front headlight, but for safety it has the rear light as well. We know that you don't always ride this on a mountain. When you are along a road, you want a bright taillight to warn upcoming traffic of your presence. With your powerful lead-acid or Li-ion battery, you don't have to worry about being seen! Long-life 10ah Li-ion battery pack. With the six-speed derailleur, you are not limited to the speed of the electric motor. You can speed down the road as fast you can in high gear! You get the best of both worlds—exercise and electric assist. Check out our movie introducing the original mountain bike to a local man who had never seen an electric bike before.